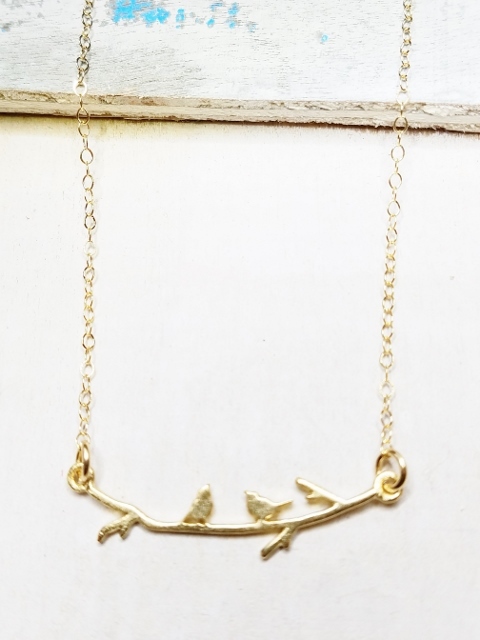 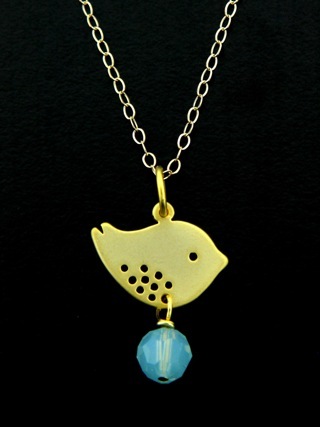 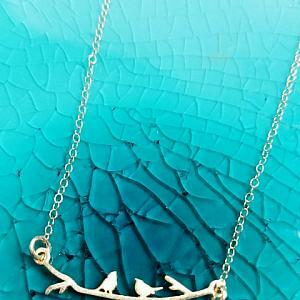 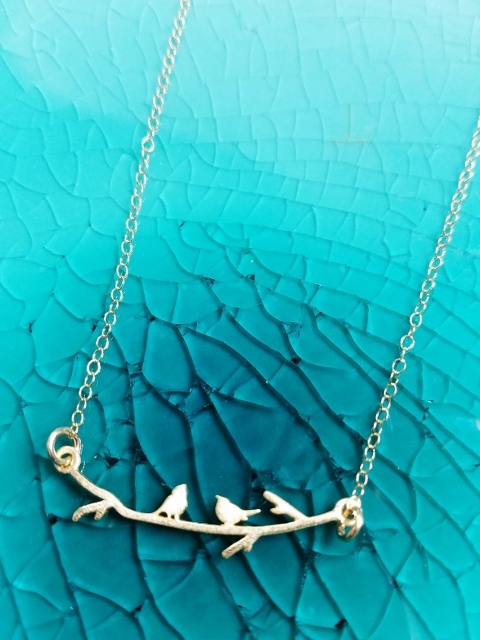 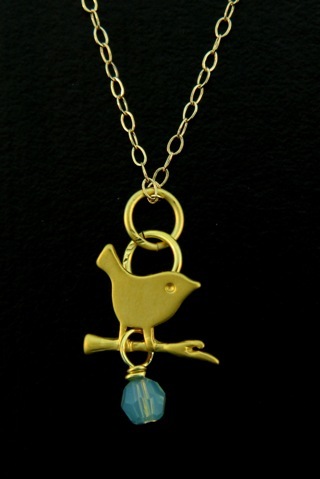 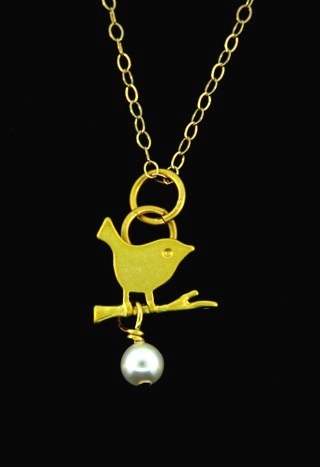 A vermeil gold necklace is so sweet with a charm of a serenading birds resting on a branch. 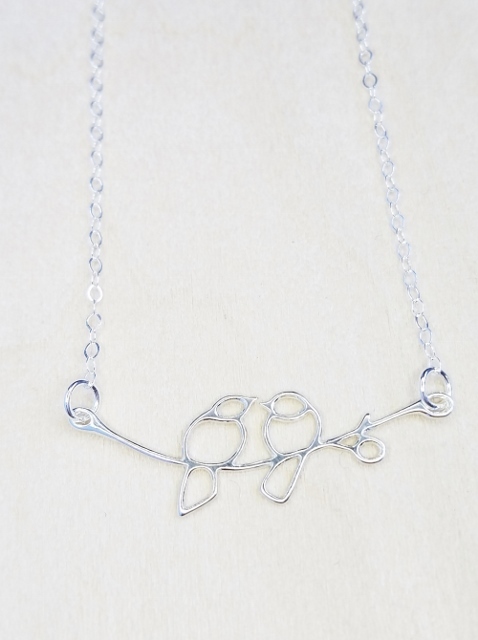 The 16” cable chain has a spring clasp. 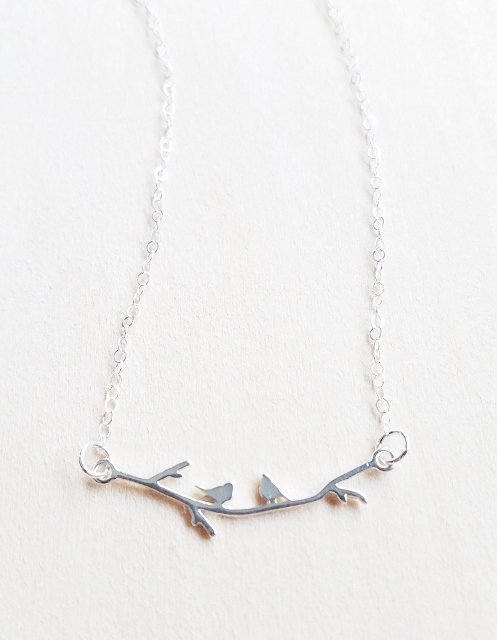 If you’re searching for a romantic gift, your sweetheart will adore this lovely necklace.